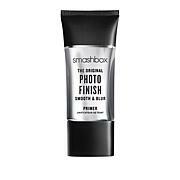 A full sized and travel sized face primer and moisturizer in one that delivers hydration and locks down makeup with the lightest possible texture. 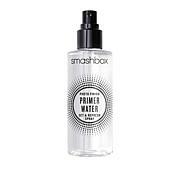 Apply one to two pumps to fingertips and smooth over face before makeup. It can be used with or in place of moisturizer. 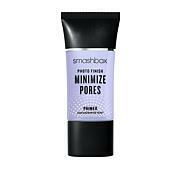 I have combo skin and this does wonders to blur my pores and hold my makeup. It looks fantastic under long-wear and full coverage foundations, making them look more natural and flawless. No sinking into pores and wrinkles, and no clinging to dray patches. It also protects the skin from the bitter cold. A tiny little bit goes a long way, so I'm sure these two bottles will last me forever.